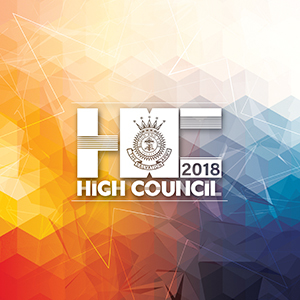 THE Chief of the Staff, Commissioner Brian Peddle, has formally summoned 111 qualifying officers to form the next High Council, commencing in London on 17 May 2018. The sole purpose of this comprehensive gathering of international Salvation Army leaders is to elect the 21st General of The Salvation Army. The man or woman chosen in this process will take office on 3 August 2018, following the retirement of General André Cox who has held the post since 3 August 2013. A public welcome to the members of the High Council will be held at the Methodist Central Hall, Westminster, on Saturday 19 May. The occasion will also be the farewell salute to General André Cox and Commissioner Silvia Cox (World President of Women’s Ministries), with musical and multimedia tributes to their ministry and service in appointments around the world as well as opportunity for praise, worship, prayer and moments of celebration and reflection, representing the internationalism of The Salvation Army. This is a ticketed event with more than half the seating already allocated. Interested parties are encouraged to request tickets by emailing special.events@salvationarmy.org.uk with details of how many seats are required and any special access requirements. The meeting will be streamed on Facebook Live and via the International Headquarters website (www.salvationarmy.org/highcouncil2018).